Subsistence farmers depend on hard work and luck. 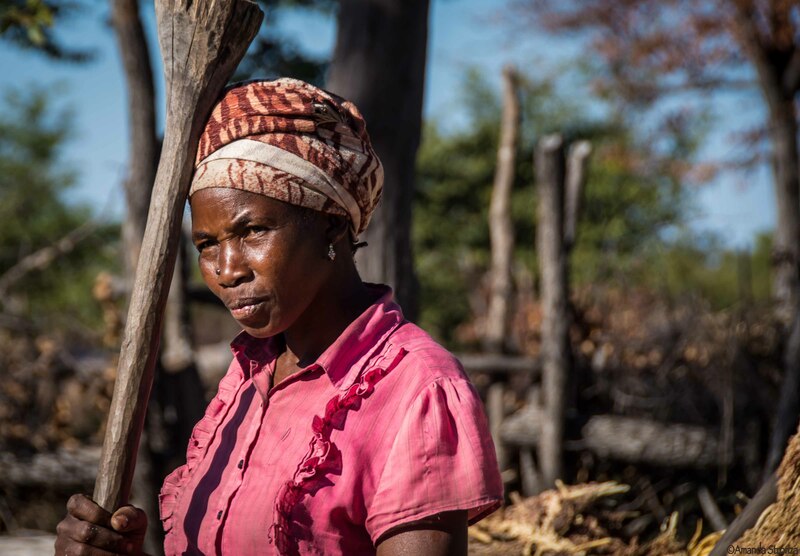 About 70% of rural households in Botswana derive their livelihoods from subsistence farming crops dependent upon seasonal rains. As a consequence of low and erratic rainfall and relatively poor soils, such farms have low productivity. Keikagile (Kee-ka-HEE-lay) owns such a farm, in the panhandle of the Okavango Delta. But she has one large problem most subsistence farmers do not have: elephants. Her field is close to one of the most frequently used pathways used by generations of elephants as they move south in April and June from the drying pans near Namibia to the waters of the Okavango River. A night’s raid by a single herd of elephants could destroy her entire crop. And once each year, coming and going on ancient pathways, elephants pass close to Keikagile’s farm. However, starting in 2014, she’s had help from Ecoexist, one of the programs featured in Howard G. Buffet’s book, 40 Chances: Finding Hope in a Hungry World. 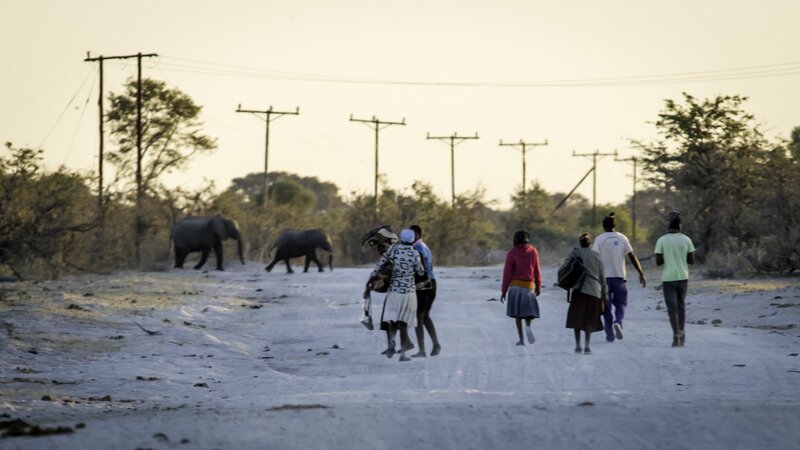 A five-year effort aimed at fostering coexistence between the 15,000 elephants and the 15,000 people of the Okavango panhandle, Ecoexist http://www.ecoexistproject.org/ seeks to apply multiple strategies to alleviate human/elephant conflicts and improve human/elephant coexistence. tracking the elephant herds; 2. building plans for co-existence; 3. learning together with farmers & villages how to protect fields; 4. making fields more resilient to crop-raiding events; and 5. building an elephant economy. Using techniques such as radio collars and GPS tracking, the Ecoexist researchers are learning more about the movements and habits of the elephants in the Panhandle, in order to help predict possible points of land use conflict. The government of Botswana pays farmers to expand their fields in order to increase productions, yet the land boards responsible for allocating the land lack information about where and when elephants move through villages and fields. Ecoexist is mapping elephant movements in order to help local land boards allocate fields away from the elephants’ pathways. By amplifying the voices, experiences and ideas of farmers such as Keikagile, policy makers learn from those most affected by crop-raiding, while the farmers are able to share responsibility with policy makers to manage the knowledge, tools and resources for field protection. Improving yields with short-cycle crops, early harvests and planting techniques ensure that farmers are less vulnerable to elephants raiding their fields. 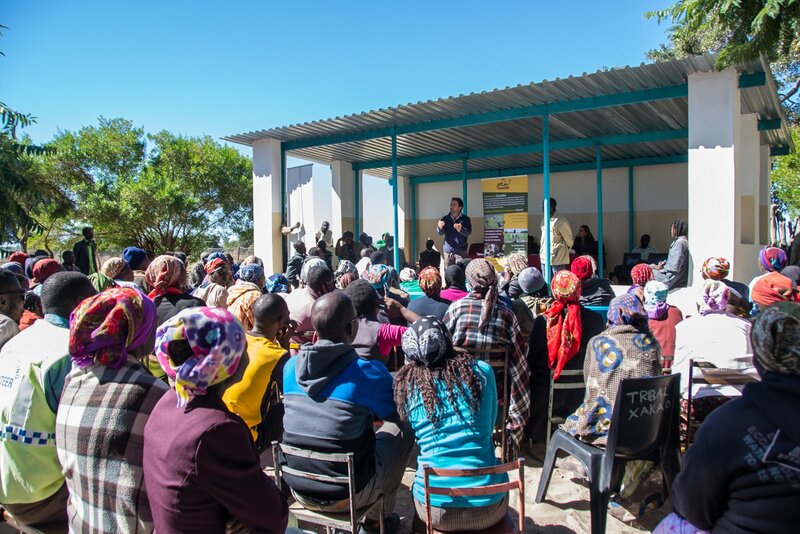 Since tourists rarely visit their part of the Okavango watershed, efforts to collaborate with private companies to market the Panhandle as an elephant-based destination with community-based tourism experiences are being developed. Ecoexist has a large team of advisors and participants. Its directors include a conservation biologist, an ecologist and an anthropologist, as well as post-graduate students and interns from Botswana’s department of Wildlife and National Parks and other relevant government departments. With input and guidance from Botswana’s Department of Agricultural Research, the College of Agriculture, the Department of Wildlife, land boards, international trusts, private corporations, Oxford University, Texas A&M University, the University of Botswana, and most importantly local farmers and residents, the goal of Ecoexist is to make the Panhandle “a place where elephants benefit people more than imperil them…a place where people benefit elephants more than imperil them.” It’s also an endeavor to create solutions that can be used throughout Botswana and beyond. Keikagile has already used new planting techniques and a solar-powered electric fence to protect her field. Her millet yield this year is 10 times the national average! And next April, when the elephants begin their seasonal migration, she’ll be able to sleep better at night. To see more of Dr. Stronza’s incredible photographs, click Here.